Dr. Al DeMaria presents information about Zika, Ebola, Mumps, Food Borne Illness and Antibiotic resistance. This presentation was taped at the August 2016 Summer Academy in Hyannis, Massachusetts. For the school nurses to understand the scope of infectious diseases and treatments that they may encounter in their practice. Dr. Al DeMaria is Medical Director of the Bureau of Infectious Disease and Laboratory Sciences in the Massachusetts Department of Public Health and State Epidemiologist for Massachusetts. He has been involved in applied epidemiology, public health surveillance and public health practice for over 26 years. He is a graduate of Boston University and Harvard Medical School. He trained in Internal Medicine at Montefiore Medical Center in The Bronx, New York and in Infectious Diseases at Boston City Hospital. Prior to joining the Department of Public Health, he was in private practice, and prior to that on the staff of The Maxwell Finland Laboratory for Infectious Diseases, Boston City Hospital. 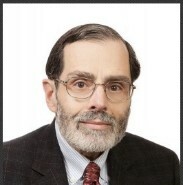 He is a Fellow of the Infectious Diseases Society of America and the Society for Healthcare Epidemiology of America. He is a Past President of the Council of State and Territorial Epidemiologists and of the Northeast Branch of the American Society for Microbiology. He serves as a member and advisor on several committees of the Massachusetts Medical Society and is on the board of The Public Health Museum.